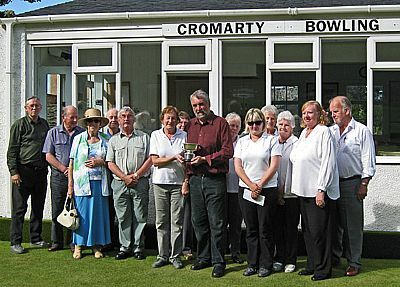 The Cromarty Bowling Club meets from May to September on a Friday afternoon at 2pm and Sunday at 2.30pm. Visitors are welcome and can often book to play at other times. Contact the Club to enquire. The indoor bowling club in Victoria Hall from October to April also meets at the same times. We are a small, friendly club of men and women members. New members and visitors are always welcome. Coaching is available if you have never played the game before and you can usually borrow a set of bowls. You can play bowls just for enjoyment or, for the more competitive, there are Club competitions and league matches against local clubs for both lawn bowls and indoor (short mat) bowls. For more information and the cost of membership see our website at www.cromartybowling.co.uk.